“Do not store up for yourselves treasures on earth, where moth and rust destroy, and where thieves break in and steal. 20 But store up for yourselves treasures in heaven, where neither moth nor rust destroys, and where thieves do not break in or steal; 21 for where your treasure is, there your heart will be also. 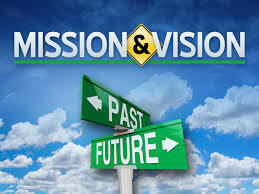 Spiritual vision is to see clearly what God wants us to see the world from His point of view. But this spiritual insight can be easily clouded and entangled by “selfish” desires and sinful attitudes. The Bible says a good eye is one that is fixed up on Jesus (Hebrews 12: 1-2). This entry was posted in Christian Discipleship, Christian Family, Christian Leadership, Christian life, Holy Spirit’s Vision Inscribed In Touch Vs Worldly vision, Marriage, Religious Vs Relationship and tagged Ambassador for Christ, aroma of Christ, blood of jesus, brothers and sisters, christ jesus, christ the solid rock, Christianity, Christmas, church evangelism, Vision Inscribed on November 1, 2015 by thejourneyinchrist.